I Ate My Placenta And It Was Great! The first time I gave birth, my midwife thoughtfully held up my placenta and asked me: “Jill, do you want me to pack this up for you so that you can take it home?” I looked at her like she had two heads and yelled “Ughhh! Get that thing away from me!” Turns out, I didn’t know what I was missing. In the years following my first son’s birth, we’ve covered all sorts of placenta malarky on Inhabitots, including the increasingly popular practice of placentophagy, which means “consuming your placenta after birth.” Almost all mammals, including our closest relatives in the primate family, engage in placentophagia, and for good reasons. The placenta contains all sorts of nutrients and hormones that a postpartum mother needs to recover and to nourish her baby after birth, including iron, vitamin B12, oxytocin, prolactin, prostaglandins and endorphins. Once I started reading up on the benefits of human placenta consumption, which include alleviating postpartum depression, regulating hormones, helping postpartum healing, and helping with milk supply, I decided I would give it a try if and when I had another baby. Fast forward to 2012. With my second child on the way, I knew I wanted in on the placenta action. The first time around the birthing ball I found recovery from childbirth quite difficult, with roller coaster hormones, crazy mood swings and a low milk supply, and I vowed that I wanted to get things off to an easier start with my second child. So I called up a doula and professional placenta encapsulator named Alexa Beckham. Alexa was a true believer who had eaten her own placenta after the birth of her baby, and her conviction about the benefits of placentaphagia eased any initial doubts and squeamishness I might have had. After a consultation with her, we determined that she would collect my placenta from the hospital, take it home in a cooler, and then dehydrate it and turn it into placenta pills. 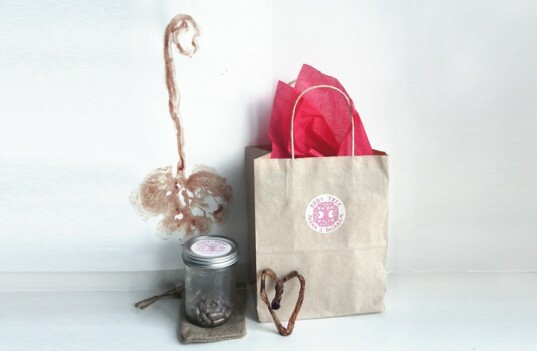 I barely even thought about the placenta during the rush of my son’s birth, but sure enough, after I got home from the hospital, Alexa stopped by with a pretty gift bag containing carefully packaged placenta pills (with a pink ribbon around the jar! 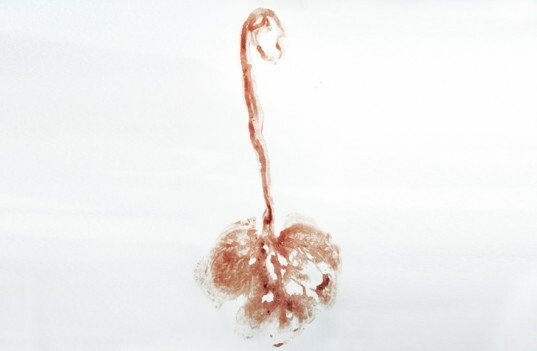 ), as well as a placenta art print and a dried section of my baby’s umbilical cord folded into the shape of a heart. The pink packaging was pretty cute, and definitely went a long way towards taking the ‘ick’ factor out of the whole process. I never even had to witness the unsightly organ in its natural form – just in the form of clean / sanitized pills a week later. My son’s little supporter in the womb yielded me 120 pills, which lasted the first six weeks postpartum. I must say that even though there is zero scientific evidence in support of placentophagy (because no scientist has ever bothered to do a study on it), my anecdotal experience was all of the evidence I need to convince me that this is the way to go for new moms. Unlike with my first birth, where I experienced fatigue, crushing moodswings, hormonal problems, issues with breastfeeding and milk supply, and general difficulties getting back to normal after the birth, after taking my placenta pills I felt energized, happy, even-keeled, and breastfeeding was much easier. This could, of course, just be due to being a seasoned, second-time mom who knew what to expect, but I think the placenta definitely had something to do with it as well. I physically felt like my hormones were more regulated, and I felt stronger and more energized after the birth. Thanks, Placenta! 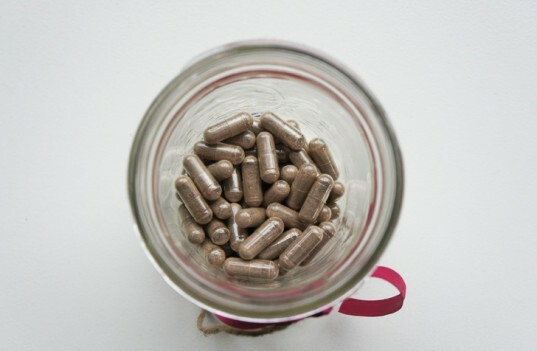 If you’re a pregnant mama interested in trying this out, Google “placenta encapsulation” in your area. 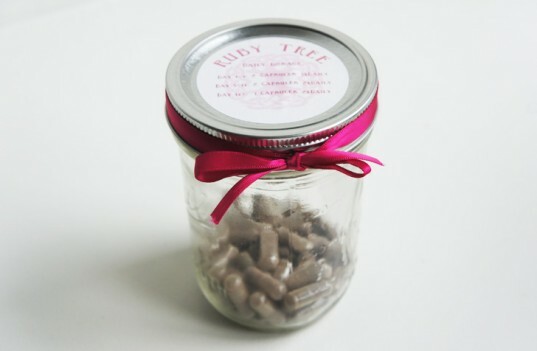 Placentaphagy is growing increasingly popular with new moms as a way to ward off postpartum depression, so more and more doulas are learning the art of encapsulation. I promise you won’t be sorry you tried it! + Would you eat your newborn’s placenta? Thanks for writing such an honest and insightful post. I wish I had read this years ago before I gave birth. After reading this, I definitely would have encapsulated and eaten my babies' placentas. how much was it to capsulate the placenta and how long did it take to dehydrate and prepare? The first time I gave birth, my midwife thoughtfully held up my placenta and asked me: "Jill, do you want me to pack this up for you so that you can take it home?" I looked at her like she had two heads and yelled "Ughhh! Get that thing away from me!" Turns out, I didn't know what I was missing. 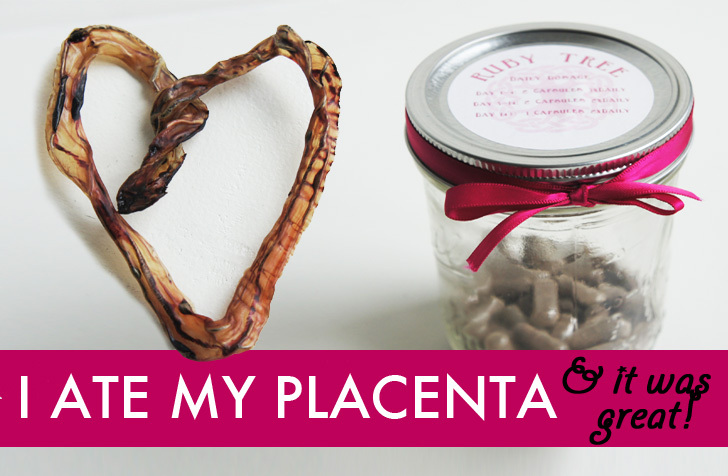 In the years following my first son's birth, we've covered all sorts of placenta malarky on Inhabitots, including the increasingly popular practice of placentophagy, which means "consuming your placenta after birth." Almost all mammals, including our closest relatives in the primate family, engage in placentophagia, and for good reasons. The placenta contains all sorts of nutrients and hormones that a postpartum mother needs to recover and to nourish her baby after birth, including iron, vitamin B12, oxytocin, prolactin, prostaglandins and endorphins. Once I started reading up on the benefits of human placenta consumption, which include alleviating postpartum depression, regulating hormones, helping postpartum healing, and helping with milk supply, I decided I would give it a try if and when I had another baby.